It so happens that today marks “Chap Goh Mei” or 元宵节 ( the last day of the Chinese New Year celebrations), so what better time than the present to share with you guys my favourite (and luckiest) new year outfit this year! 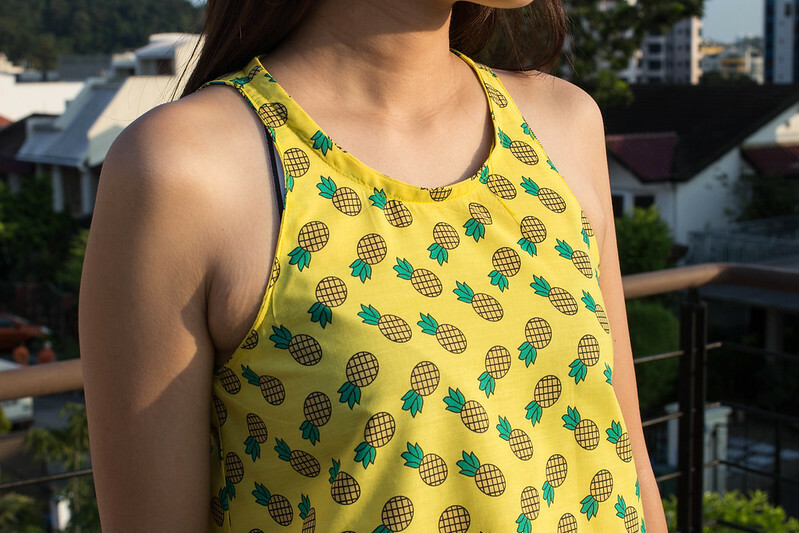 Pineapples are considered by the Chinese to be an auspicious icon to have around the house during the new year as the hokkien name for pineapple is “ong lai” which sounds similar to the hokkien phrase for “luck” and “coming”. 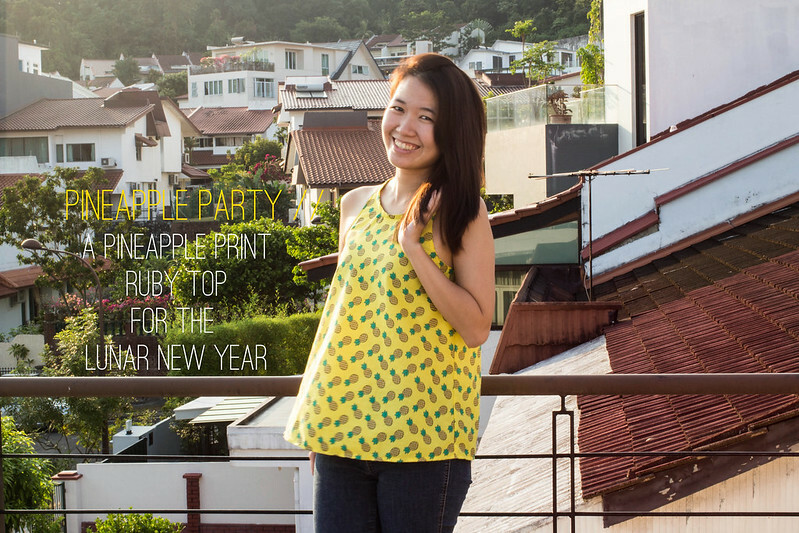 The opportunity to usher in the new year with an ultra-lucky handmade pineapple top? YES PLEASE! 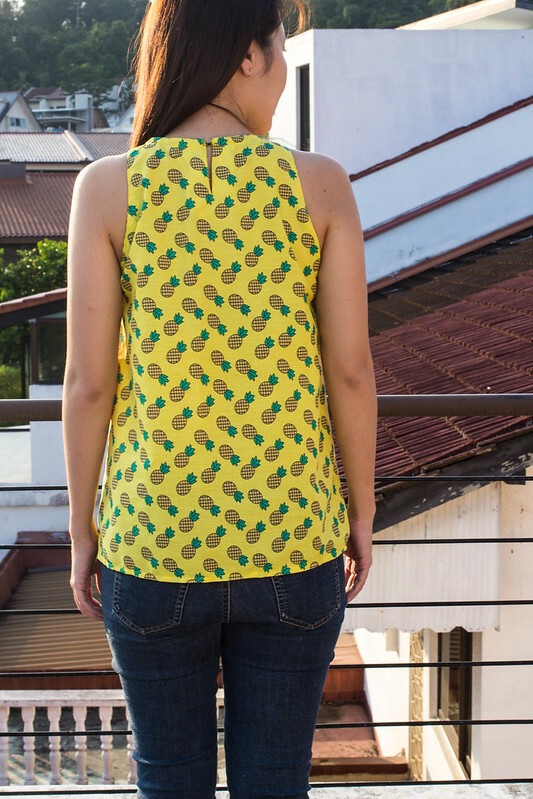 The moment I saw this fabric, I knew that Tessuti Pattern’s Ruby Top would be a perfect match for it. 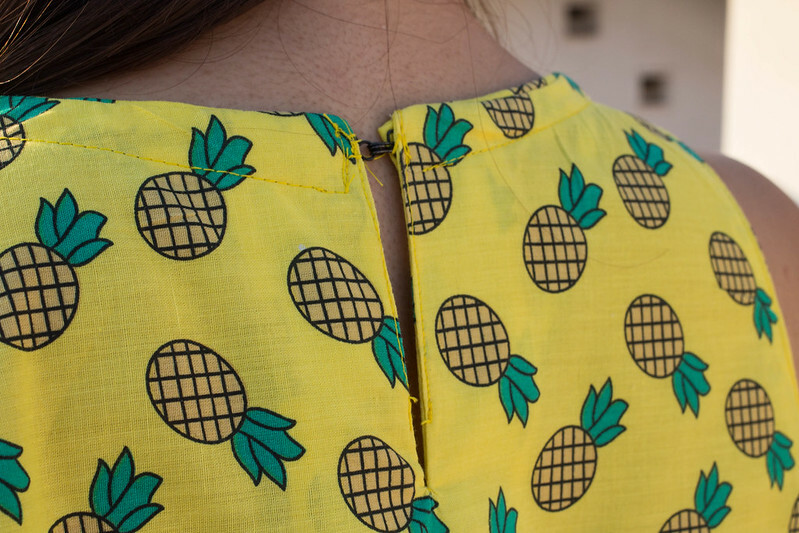 Simple and classy, yet casual and a perfect complement to denim shorts, I thought the pattern would help to downplay the ridiculous-ness of wearing a gazillion pineapples on one’s chest… AND IT DID. I even wore it to work and only got one snide “wow you’re lucky today”-esque comment. 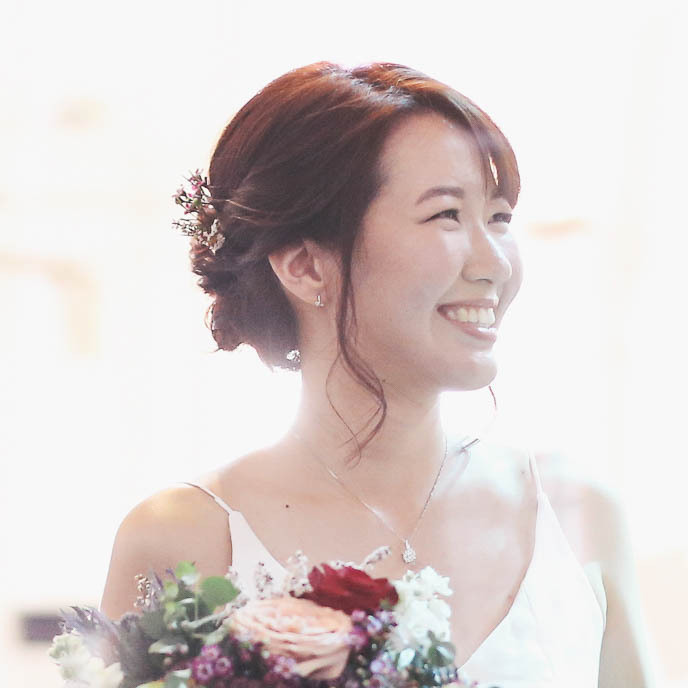 You guys, I LOVE this make, especially for the new year festivities! In fact, my boyfriend had to ban me from wearing it too many times as I wore it to 3 different gatherings over a 4 day period… a bit obsessive, I will admit. 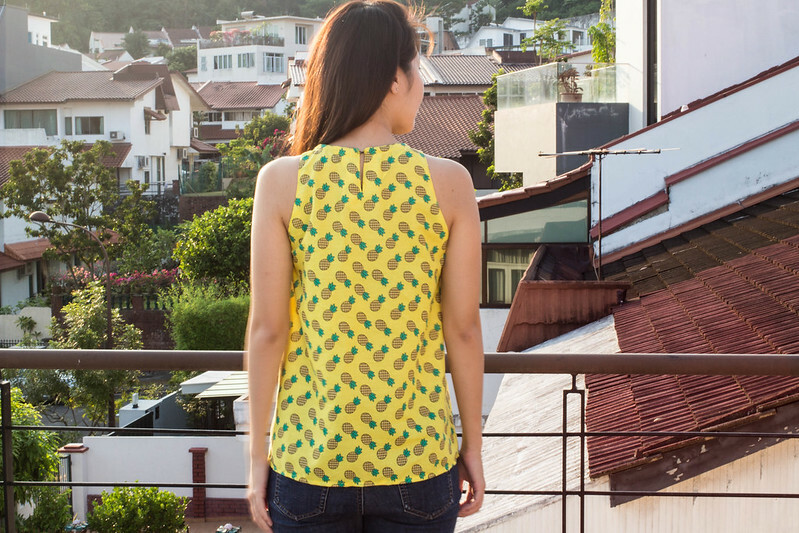 I really like the high neckline and cut in armholes of the pattern, I think it just makes it that much more current and formal than a regular tank top. In a solid coloured voile or chiffon I could easily imagine wearing this to work on a regular basis! 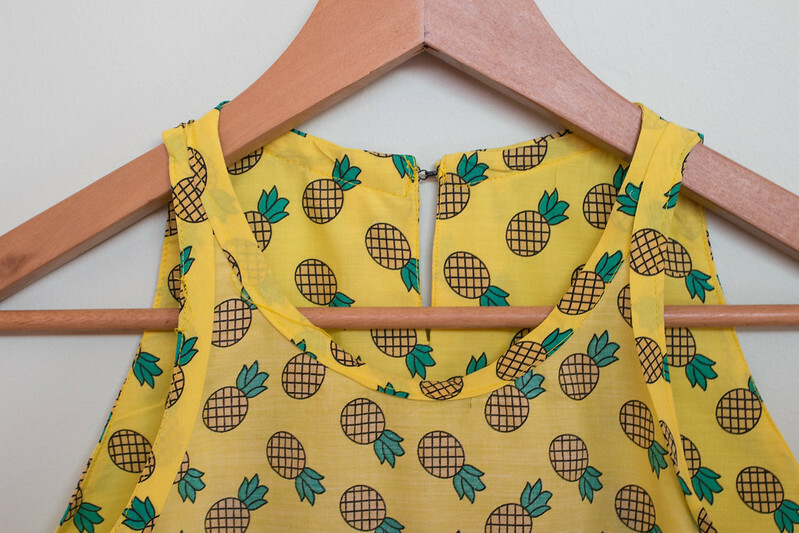 I also love the way the pattern is designed to fit in the bust and swing down past any unsightly bulging bits – perfect for wearing to a buffet or a big dinner. Look at the amount of room I have to hide a muffin top under there! Did I mention how neat the insides of my top are for once? I have the pattern instructions to thank for this. – Tessuti’s instructions have you use vilene shields which are meant to prevent the neckline and armholes from stretching out. As I haven’t been able to find them anywhere in Singapore, Fiona advised me to omit the vilene shields and just stay stitch instead. 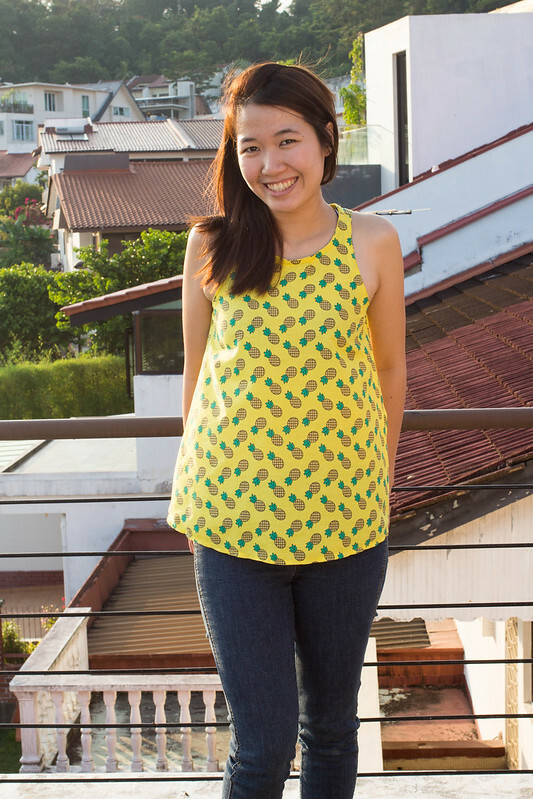 – The pattern has you cut out bias tape using your main fabric to finish the neckline and armholes, which I did. However, I didn’t like how the print on the bias tape clashed with the direction of the print on my main fabric, so I opted to turn the bias binding under and top-stitch it down (kind of like the method employed in Megan Nielsen’s Eucalypt Tank). 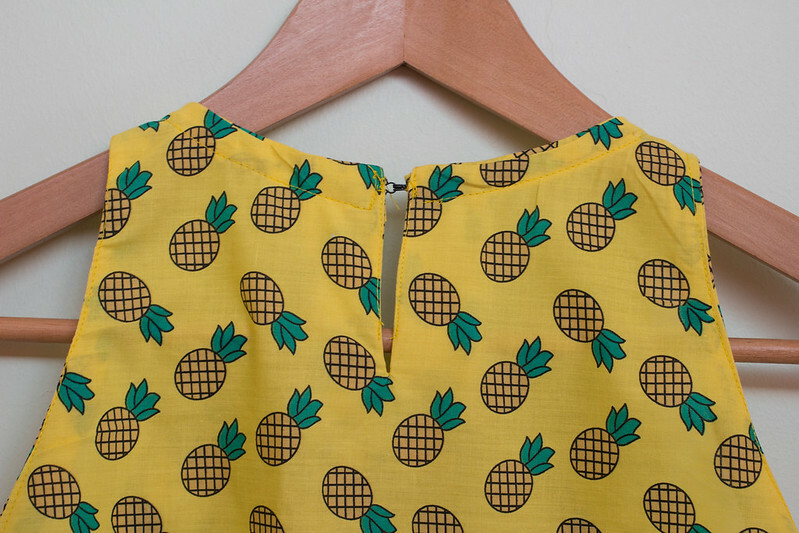 I can’t wait to make this up in the dress version – I’ve already got the perfect leopard print chiffon for it! I’ve also got a hack planned for this beauty of a pattern, well done Tessuti! OH and did I mention my brand new and very first pair of Swedish Hasbeens, bought through the Amazon sale that had the sewing community gushing for days (I have Heather Lou to thank for the tip-off). I’m still in the midst of breaking them in, but goodness, they are SO COMFY despite their height. To the wonderful swedish hasbeens-obsessive sewing community and instagram, THANK YOU, you guys just keep on giving and giving. Your outfit is precious! I love your top you made. You are very talented! Happy New Year! Year of the goat/sheep I am sooo happy! It’s going to be a great year. I wish I was near my mom so we can celebrate it. Best wishes to you for a wonderful New Year!!! Great job. I love it. The material looks like it flows beautifully. Thanks! The fabric is a little stiff but I think it works well! I love that shape for a top for the same reason! Muffin top! Very cute and nice job! I simply love that fabric. Great shape on you. Thank you! It was a great deal at Spotlight too! 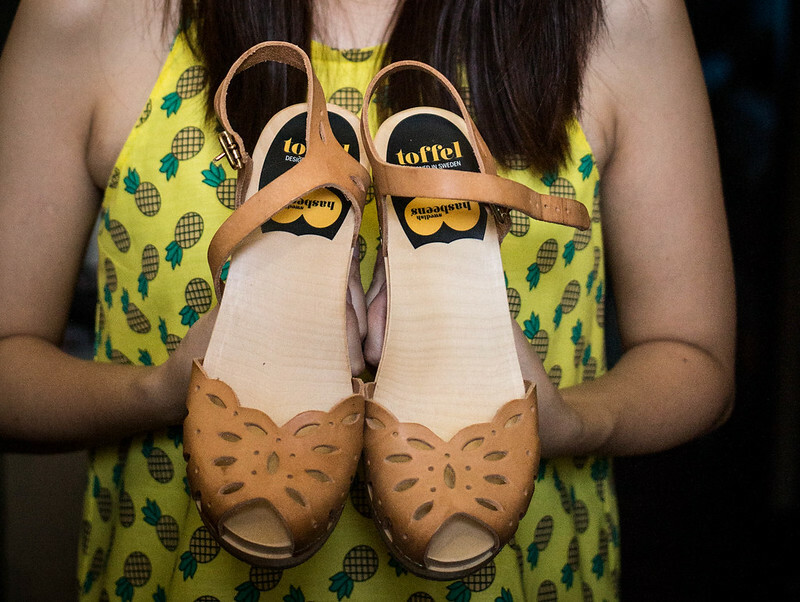 OMG THE PINEAPPLES! this top is so cute!! 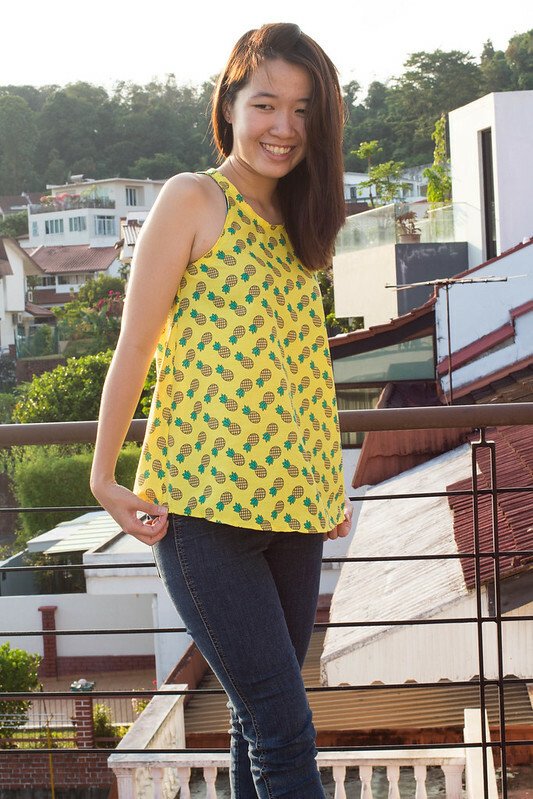 I love the pairing of the fabric and style of top! I KNOW! 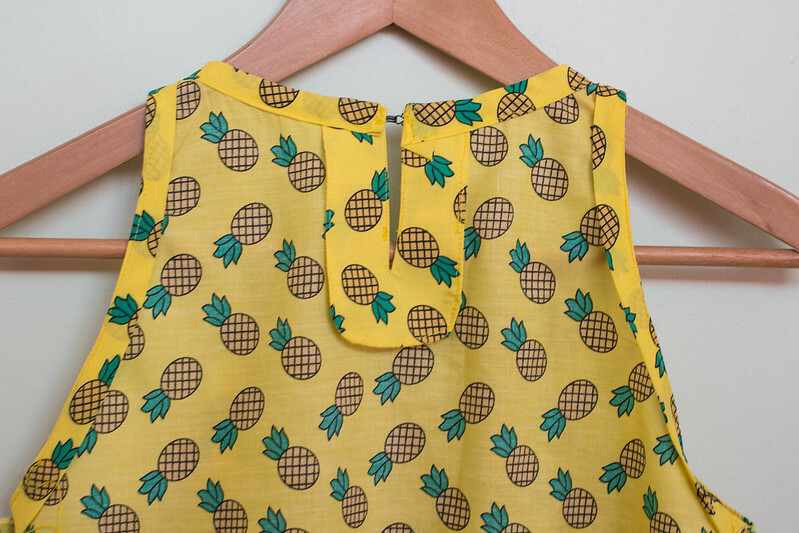 There were orange and apple prints as well but they just can’t beat pineapples, amirite? No, pineapples are the best!! It’s just so cute I can’t get over it!! I love your top. Thanks for the review. Everyone is my house is crazy about pineapples. So glad to hear that they are considered lucky…..